This comprehensive tour travels with a professional driver-guide and small group through Alberta, British Columbia and the Yukon before arriving in Alaska. Your adventure begins as you arrive in Calgary - Alberta’s Cowboy City. Transfer to your downtown hotel and enjoy the rest of the day at leisure before starting your tour tomorrow morning. Meet fellow passengers and your guide this morning at a welcome breakfast. Travel north and pass through Edmonton, a city that maintains its ties to the Klondike past. Watch the beauty unfold through Northern Alberta and see grandiose lakes, mighty rivers, abundant wildlife and untapped wilderness. Travel through the great northern prairie region of Alberta en route to Dawson Creek, stopping at Mile 0 of the Alaska Highway. Continue into British Columbia’s picturesque Peace Country with its abundance of natural history and agricultural land. Journey through peaceful valleys and alpine meadows and arrive for a brief stop at Liard Hot Pools, Canada’s most spectacular natural hot springs. Be sure to dip your toes into this natural hot pool. This evening tour the Northern Lights Centre and experience the folklore and the science of the Northern Lights. The day begins at world famous Sign Post Forest that gives you a down to earth view of global navigation. Did you bring a sign from your home to put up? Cross the Nisutlin Bay Bridge, longest on the Alaska Highway, into Teslin, Yukon. Enjoy the reflections of the glorious mountain ranges in the crystal clear lakes that dot the area en route to Whitehorse, the capital of the Yukon. Your Whitehorse tour includes Miles Canyon, the Fish Ladder and the SS Klondike Sternwheeler National Historic Site. Continue north on the Klondike Highway past Lake Laberge, made famous by Robert Service’s poem, “The Cremation of Sam McGee”. Stop to view the Carmacks Interpretive River Front Boardwalk and the beautiful Five Finger Rapids. Arrive in Dawson City, the heart of the Klondike Gold Rush. Tonight visit Diamond Tooth Gertie’s Gambling Hall, Canada’s oldest and most unique casino featuring can-can girls led by Diamond Tooth Gertie herself. Revisit history today as you experience an enormous Gold Mining Dredge, one of the largest wood hulled, bucket line dredges in North America, then pan for your own fortune in gold. This afternoon relax and enjoy a leisurely afternoon as you explore the boardwalk shops of this town and recall the gold crazed frenzy of Dawson City’s past. North to Alaska! Today you travel over the Top of the World Highway and stop at the unique town of Chicken named after the state bird – the Ptarmigan that resembles a chicken. Then it’s on to the Village of Tok, where the Eagle Trail crosses the Tanana River and the sternwheelers once plied the river. Mail your postcards this morning at the North Pole, Alaska and stop by Santa Claus House. Continue on to Fairbanks, the hub of Alaska’s heartland. This afternoon board the Sternwheeler Discovery for a cruise of the Chena and Tanana Rivers. You will see a bush plane taking off from a bush-style runway, witness the wedding of the rivers and gain insight into the ancient Athabascan Indian culture on a personalized tour of the Chena Native Village. 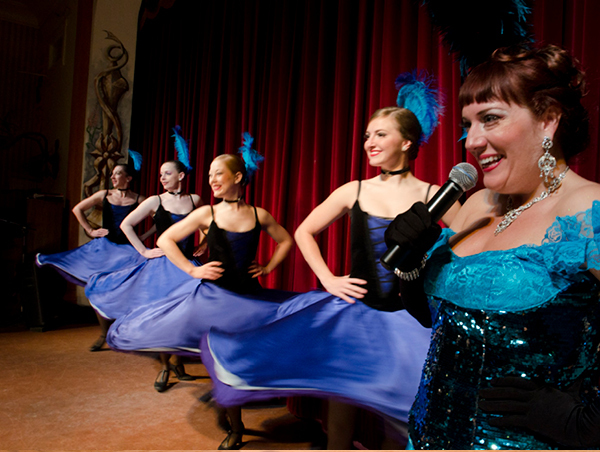 Tonight step back in time and visit Alaskaland for a delicious baked salmon dinner, followed by a musical revue at the Palace Theatre and Saloon. Incredible vistas provide a feast for the eyes today on your journey through the town of Nenana to Denali National Park & Reserve. The panoramic views of the famed Alaska Range continue to take your breath away as you see Mt McKinley – North America’s highest peak. This afternoon experience a wildlife tour into the heart of Denali National Park. This tour offers a great opportunity to see wildlife in the park, in particular, grizzly bears, caribou, moose and even wolves. Return to Denali early evening. Your destination today is Alaska’s largest city, Anchorage. Explore the past and experience the first people at the Alaska Native Heritage Centre, Anchorage’s premier cultural attraction. Hear the songs and stories and see the dancers. This evening enjoy a group dinner with your new friends. Today experience one of the tour highlights, cruising the calm and protected waters of Prince William Sound accompanied by a National Forest Interpreter. The vessel hugs the coastline and icebergs glides silently by. Pulling into a bay, the vessel floats right up to a 1700-foot high active tidewater glacier, a river of ice. See otters, eagles, puffins, sea lions, whales and glacier-wildlife. Delicious onboard lunch includes prime rib and salmon. This is wild and dramatic Alaska up close. This morning see stunning vistas as you travel the Glenn Richardson Highway to Gakona Junction, climbing to Mentasta Summit before descending into Tok, where you rejoin the Alaska Highway. Today depart Tok and travel back into the Yukon and historic Burwash Landing. Travel alongside the magnificent St. Elias Range and Kluane National Park & Reserve, home of Canada’s highest mountain. En route, stops are scheduled at Kluane Park Visitor Centre, Kluane Museum of Natural History and Sheep Mountain Visitor Centre near Haines Junction, home of the Dall sheep. Arrive in Whitehorse to settle in for a two-night stay. Travel west over the White Pass Summit and see some of the most panoramic views of the terrain en route to Skagway. For those who like to ride the rails an optional train trip to Skagway is offered on the White Pass & Yukon Railway, following the historic Chilkoot Trail, path of the gold seekers. You will fall in love with the quaint port village of Skagway, nestled into the harbour and full of Klondike history. At the end of the day, wind your way back to Whitehorse and join fellow passengers at a Farewell to the Yukon dinner. Say goodbye to the Yukon and head back into the province of British Columbia. Returning over the Nisutlin Bay Bridge, the coach heads south to travel the famous Stewart-Cassiar Highway. Some of the continent’s most inspiring beauty and plentiful wildlife and glimpsed along this route. The communities on this highway provide a contrast of cultures, old and new. A stop is included at Jade City, outlet for the nearby jade mine that provides 90% of the jade in the world. Your continuing journey on the Stewart-Cassiar Highway takes you through Stikine country, passing through the unspoiled wilderness of Mount Edziza Provincial Park. Your destination is Stewart, well known for its surrounding spectacular glaciers and also as a thriving industrial port. A special treat tonight is time at Fisk Creek and the viewing platforms, where you can see bears in the wild fish for their dinner. Believe it or not one of the most scenic drives in North America is still waiting today as you motor through towering coastal mountains, icefields and hanging glaciers with rushing waterfalls tumbling down mountainsides. Journey through Burns Lake and Fraser Lake and follow the beautiful rivers and valleys of north central British Columbia on your way to Prince George. Today enter the great Canadian Rocky Mountains. Stop first at the visitor centre to view the range’s highest peak, Mount Robson. Arrive in the Rocky Mountain town of Jasper, where you visit Maligne Canyon and Pyramid Lake before spending some leisure time in the shops of the town site. This evening join a gentle float trip down the sparkling Athabasca River. Today experience what has been called one of the most spectacular highways in the world: the Icefields Parkway. Our first stop is the dramatic Athabasca Falls, before arriving at the Columbia Icefields. This living glacier’s waters feed three oceans! 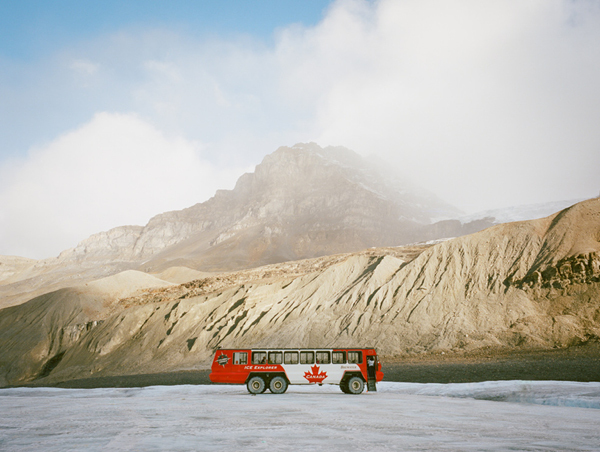 Visit the Interpretive Centre and take the Ice Explorer ride to the base of the glacier. Additional stops include beautiful Peyto Lake and Lake Louise, truly one of the most picturesque places in the Rockies. 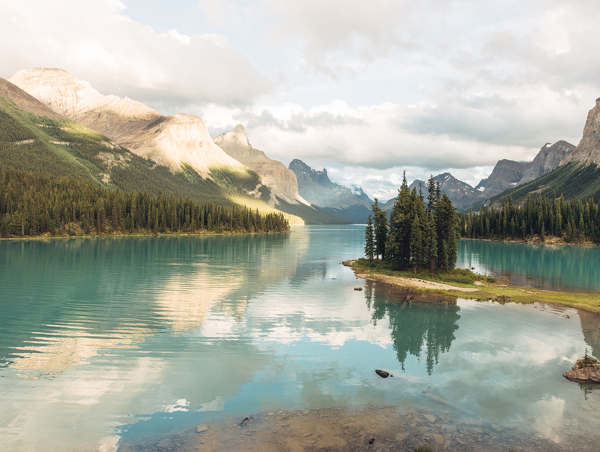 Enjoy a stroll along the shore or visit the Chateau’s enticing shops before continuing to Banff, heart of the Rockies and home of Canada’s first national park. This morning features an area tour of Banff including Bow Falls, Cascade Gardens and a ride on the Banff Gondola to the top of Sulphur Mountain for a panoramic view of the Banff Townsite below. On the journey back to Calgary spend some quiet time reliving the memories of the sights, the sounds, indeed the magic of Alaska and the Yukon. A transfer to a downtown hotel or the Calgary International Airport is included.